Red Meadow Redux is an acrylic painting on lightly-gessoed, cotton canvas. In many areas, the delicate application on this matte surface resembles artist's pastels. 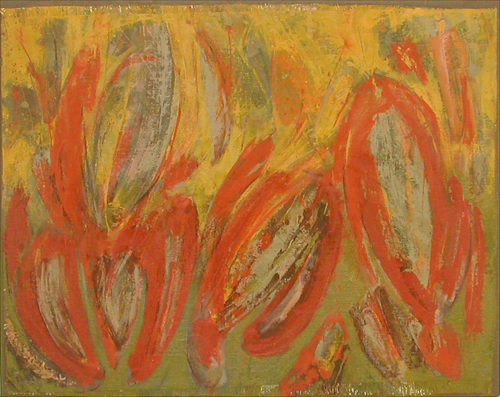 This is an abstracted version of an earlier work, Red Meadow Diptych. They both use colors reminiscent of late summer. In the thinning light, stirred by casual breezes, a grassy field is preparing to drop its seed.